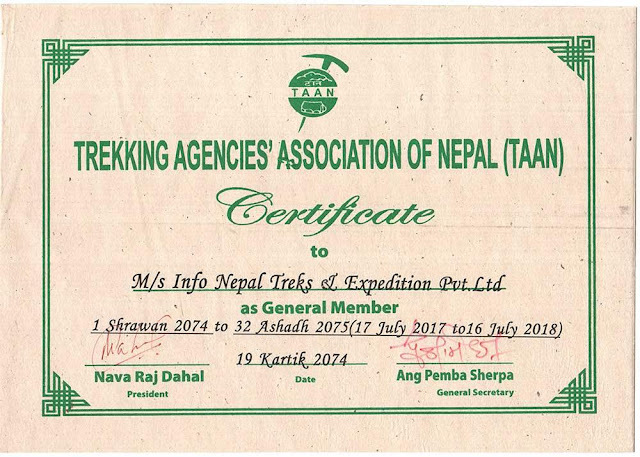 Info Nepal Treks and Expedition is a government registered leading tour and trekking company located in the hear to Kathmandu, Thamel. 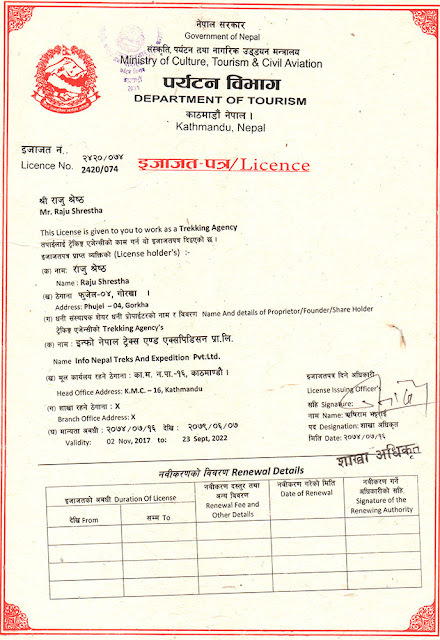 The company was inspected in vision to provide the best and quality services to the clients who are looking for trekking and adventure in Nepal, Tibet and Bhutan and has been operating the tours as per its commitment. Info Nepal Treks and Expedition organizes Trekking, Hiking, City Sightseeing Tours, Adventure activities like Bungy Jumping, River Rafting, Paragliding, Mountain Flight, Jungle Safari and many more as its major travel services. 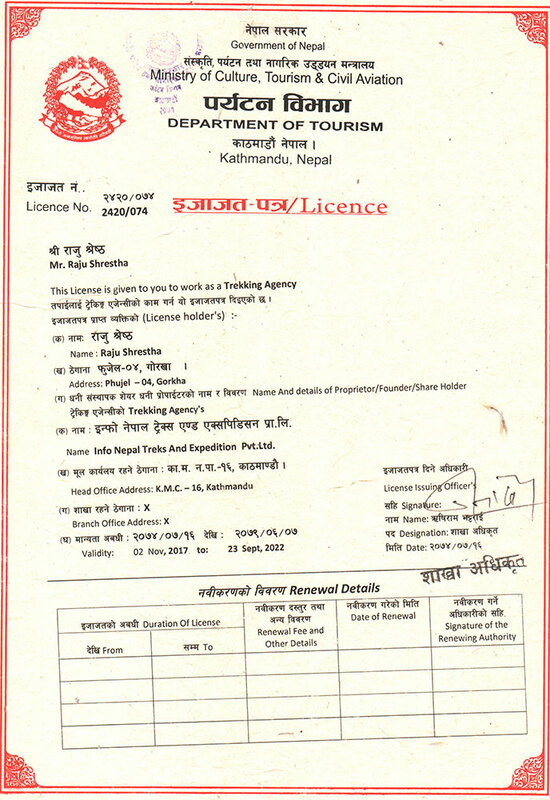 Apart from Nepal, the company also organizes the tourism activities in Tibet and Bhutan also. 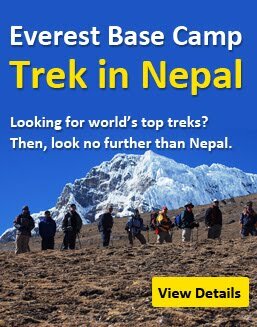 Be a part of Info Nepal Treks and Expedition and experience the ultimate adventure in the Himalayas. 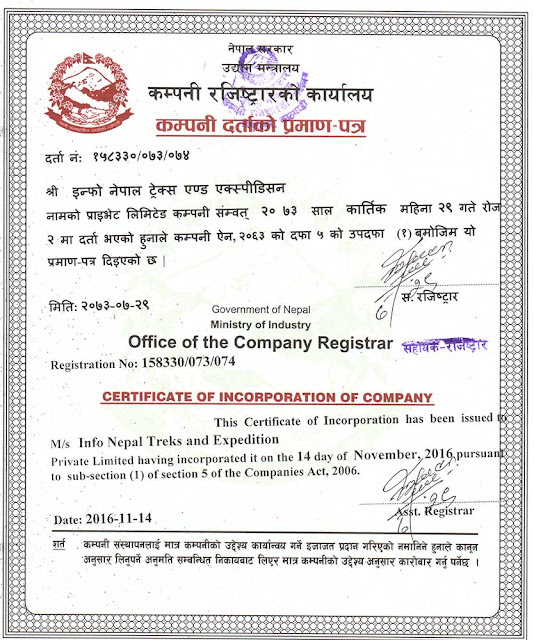 Name: Info Nepal Treks and Expedition Pvt. 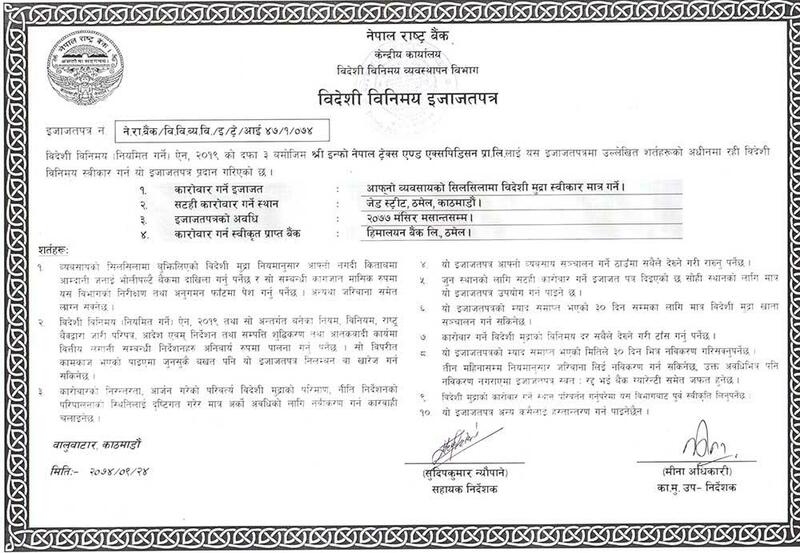 Ltd.
Planning a holiday in Nepal, obviously you are thinking how to book a package (Tour, Trekking and Expedition) and with which company. 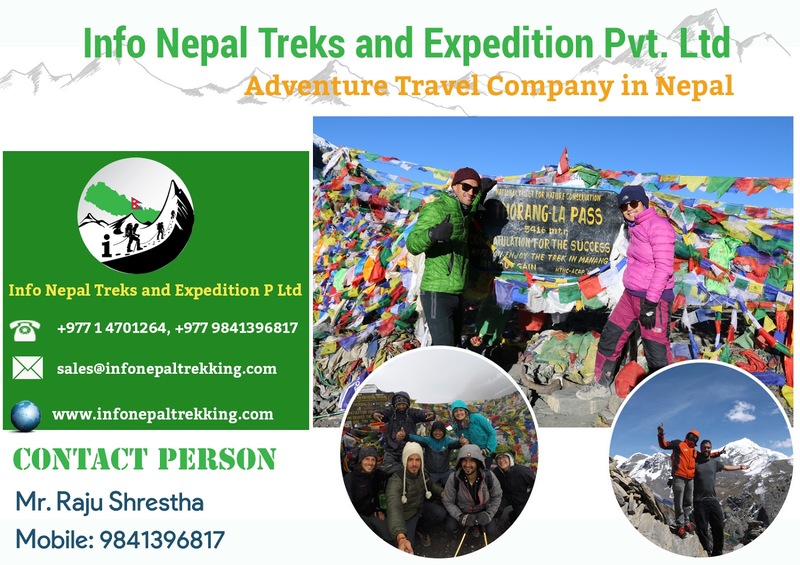 Don't be in dilemma, Info Nepal Treks and Expedition is the name for excellency in organizing the trekking and tour packages in Nepal as well as in Tibet and Bhutan. 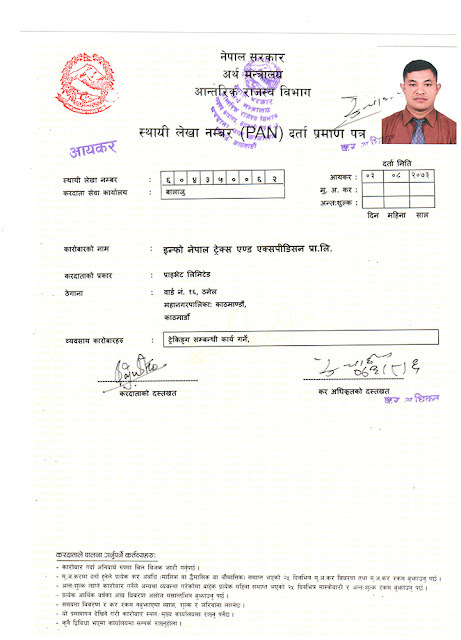 The permanent resident of Gorkha, arughat, Mr. Raju Shrestha is a hardworking, kind and helping person. 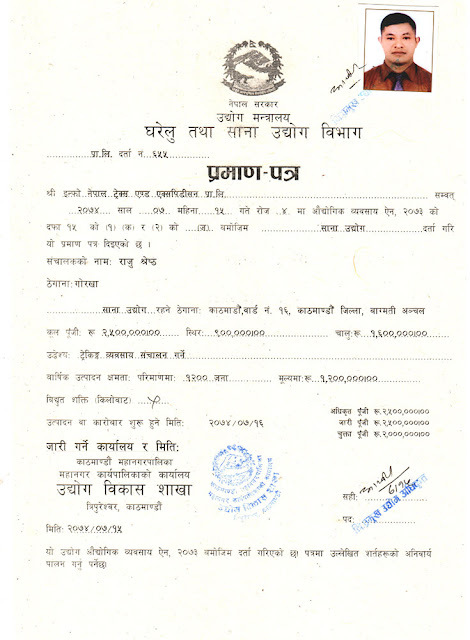 He was born in the lap of popular mountainous region Mount Manaslu, Ganesh Himal and Annapurna. He started career in Nepal tourism as a porter in 2001 and after few years he became professional trekking guide certified by Nepal Academy of Tourism and Hotel Management (NATHM) in 2007. 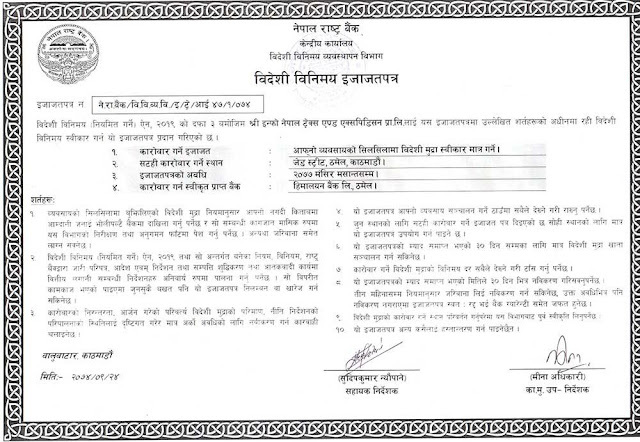 Since then he had been leading trekking and tour to the Himalayas through a Trekking agency Magic Expedition and tour. 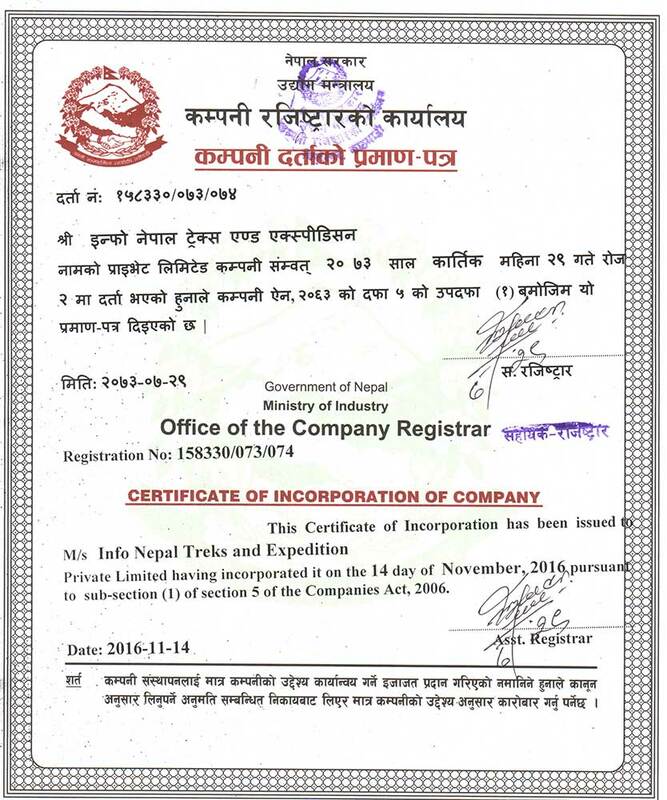 Now he is a managing director of his own trekking company, Info Nepal Treks and Expedition. If you are looking for trekking and tour package in Nepal, contact Mr. Raju Shrestha.